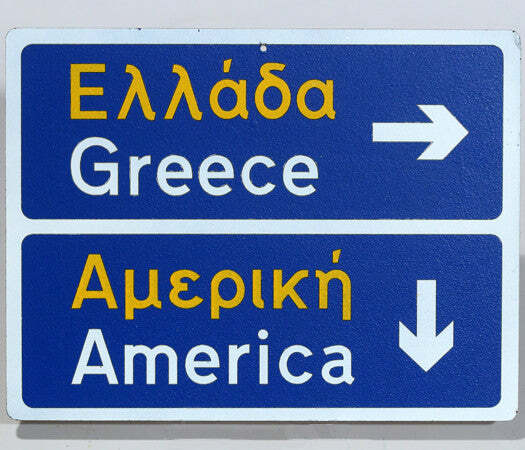 Road signs in Italy use a variation of the Transport typeface called Alfabeto normale, or the condensed form of it, called ‘Alfabeto stretto’ (the latter is the one on the top and the bottom signs in the photo). Albania use the ‘Alfabeto normale’ typeface (with the narrow variant ‘Alfabeto stretto’), a heavier version of the British ‘Transport’ typeface. Albania has recently started using ‘Arial Narrow Bold’ typeface. Austria and Slovakia use the TERN typeface. 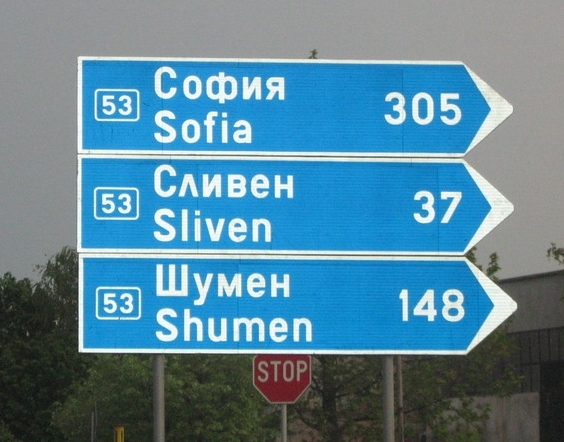 Bulgaria uses the SNV typeface. Belgium uses the SNV typeface. A Scottish sign using the Transport typeface on the Isle of Skye, with placenames given in both Scots Gaelic and English, and distances shown in miles. 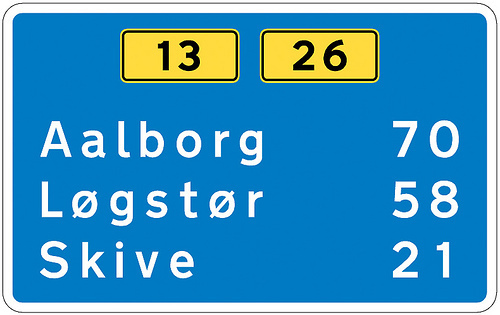 Example of the use of the Transport typeface in road signs in Portugal. 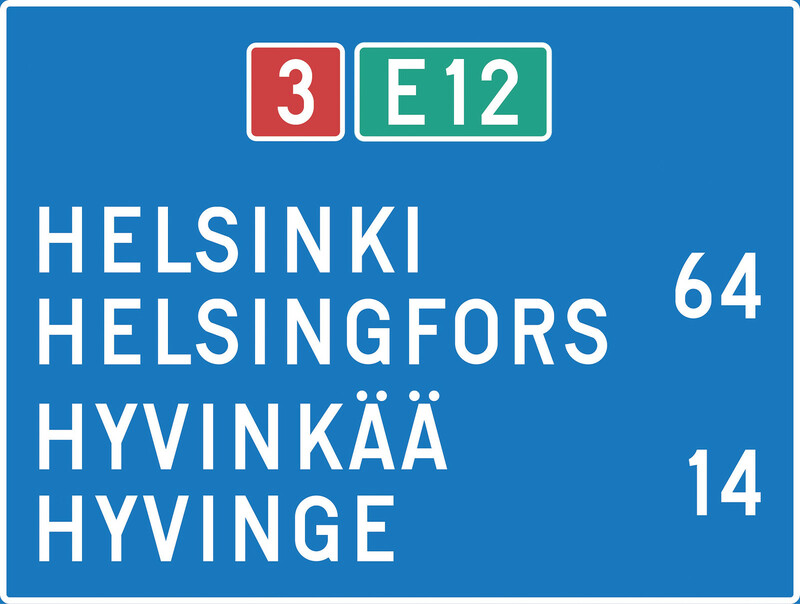 Motorway typeface is used on United Kingdom motorways. 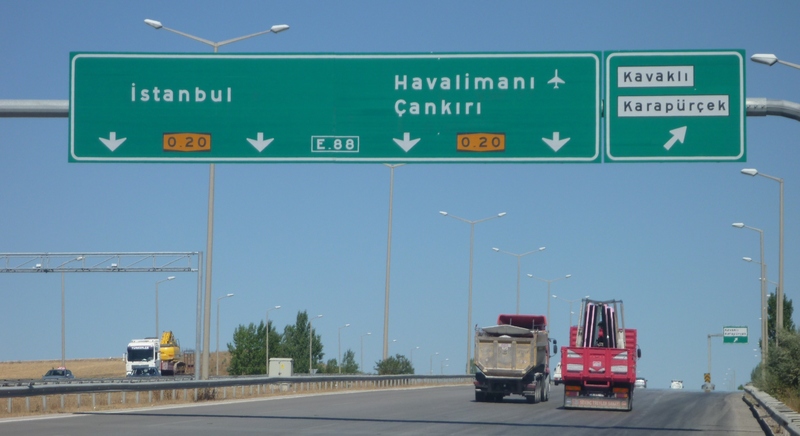 Turkey uses the FHWA typeface. Señal S-242a. Preseñalización en autopista o autovía de dos salidas muy próximas hacia cualquier carretera. Señal S-220. Preseñalización de direcciones hacia una carretera convencional. 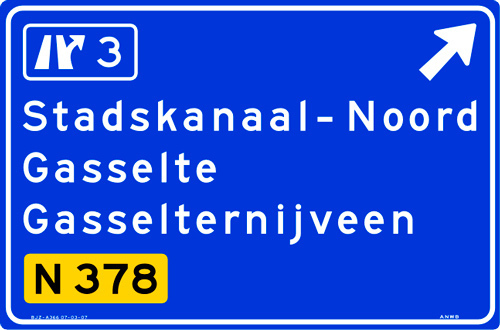 Netherlands use typefaces derived from FHWA typeface: ANWB/RWS Cc (narrow), Dd (medium) and Ee (wide). Switzerland uses the Frutiger typeface.